What’s the Difference Between Regular and Organic Food? Organic food options continue to become more prominent on grocery stores shelves. You see organic produce and meat all the time. However, there are also many other products that are organic, including NuPasta. 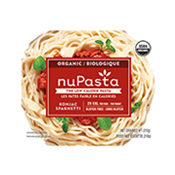 Many people are still confused about the difference between regular and organic food in a general sense, as well as when comparing regular and organic NuPasta products. The following will explain what organic food means in general, and explain how organic NuPasta products qualify to be organic. Organic crops must be grown in safe soil, have no modifications, and must remain separate from regular products. Farmers are not allowed to use synthetic pesticides, bio-engineered genes (GMOs), petroleum-based fertilizers, and sewage sludge-based fertilizers. Organic livestock must have access to the outdoors and be given organic feed. They may not be given antibiotics, growth hormones, or any animal by-products. Therefore, all foods that do not meet these standards and requirements are classified as regular food. 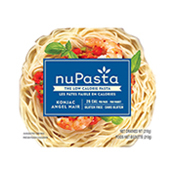 NuPasta offers a line of organic products, and we get a lot of questions from our customers about them. 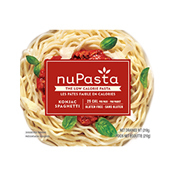 Our organic NuPasta products are USDA organic certified. 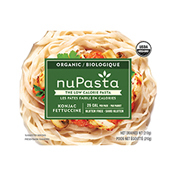 This means that all of the ingredients used in the creation of NuPasta are certified organic, from the konjac plant to everything else that is used as part of the farming process. The konjac plant (Amorphophallus konjac) grows on slopes 2000 to 4000 ft above sea level, where it enjoys the habitat’s clean air and water. Everything that goes into the field where the konjac plant is farmed must be organic. This includes any fertilizer that is used to aid farming. The farming must be sustainable. Farmers must be certified organic farming educated. They are required to keep detailed records of their farming process and maintain transparency in terms of traceability of products used and farming processes. The soil used to grow the konjac is audited annually by a certified lab to ensure it meets organic standards. 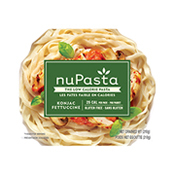 One interesting point to note is that the konjac used in our regular NuPasta products is grown in much the same way as the organic version. The only difference is that the farmers do not have the educational credentials and they do not maintain perfect records to qualify for an organic certificate. However, because of where it’s grown—2000 feet above sea level in the mountains—natural and organic ingredients and farming practices are commonplace. Want to try NuPasta? You can purchase NuPasta at these store locations.